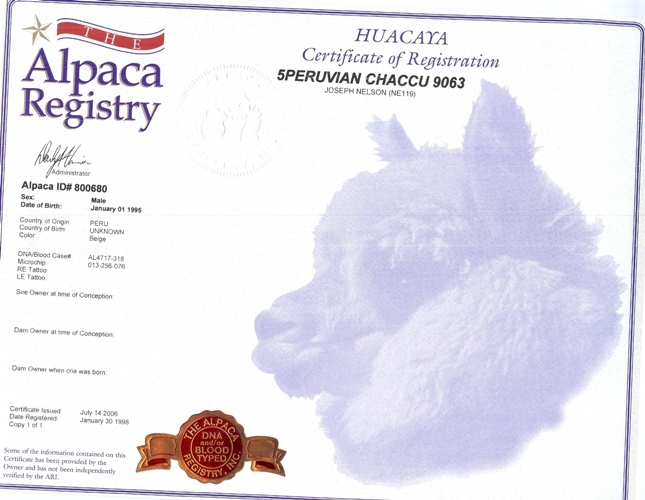 We were blessed to have owned the great Chaccu for a good number of years and he left us with some incredible offspring and memories. 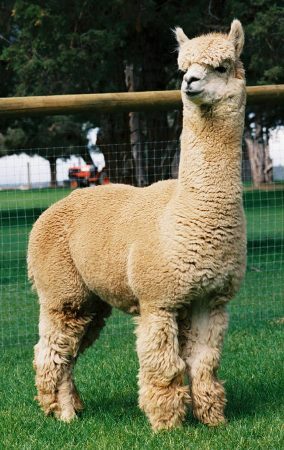 He was a dear alpaca! His incredible disposition was second only to his superior production and his genetics remain in demand today. Those genetics were rare (even in Peru) and coveted here. Chaccu consistently sponsored offspring with superior density, fineness, brightness and high frequency crimp along with beautiful phenotype. We miss Chaccu but we are well positioned to carry on his excellence for years to come.